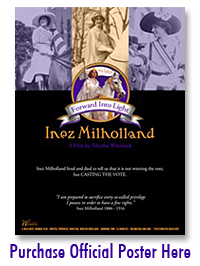 Have you ever heard of Inez Milholland? 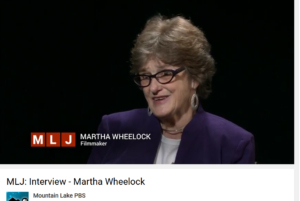 What about Martha Wheelock? It’s more likely that Wheelock’s name is familiar. A longtime resident and teacher in the Great Neck Public School District, Wheelock taught English and theater for 18 years in Great Neck North and South high schools and at The Village School. Inez Milholland, however, is a name that should be well-known, but instead has been erased from most history textbooks. Also known as the “beautiful suffragist,” Milholland was an American icon who worked to get voting rights for women and became the voice of the suffrage movement after she died for the cause in 1916. Having always been drawn to women’s studies and filmmaking, Wheelock realized at New York University, where she was earning her PhD, that films celebrating women and their accomplishments were notably few and that it was a hole in the past that needed to be filled. Wheelock has since made several documentaries highlighting lesser known—but no less important—women activists and artists, as well as the suffragist movement. 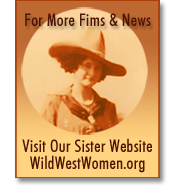 She also cofounded and became executive director of Wild West Woman, Inc., a nonprofit that produces films on women in order to provide positive role models for women and girls. 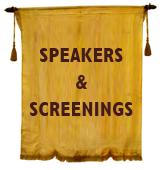 Wheelock has relocated from Great Neck to California and retired from teaching, but has continued to make documentaries, including her latest, Inez Milholland, Forward into Light, which she wrote, produced and directed. It was after learning about how this beautiful suffragist died—and the fact that it has been exactly 100 years since her death—that Wheelock knew she had make this film. She began researching this incredible woman, but was met with little success; it wasn’t until she found newspaper articles on her western tour in California that details of Milholland’s contributions were discovered. “She made 50 speeches on the West Coast, and California women could vote against Woodrow because he was against the suffragists,” Wheelock explained. By 1916, California woman had won the right to the vote, but the fight was far from over in many other states. Suffragists like Milholland wanted to urge people to boycott President Woodrow Wilson, who remained steadfast in his stance against women voting. [newspapers] put in huge articles about what she looked like, how she was so beautiful. They marketed her like Beyoncé, like this beautiful, incredible woman, [the men] didn’t even care was talking about women and their right to vote.” And so, with the men flocking to see her and their wives tagging along, Milholland’s reputation and mission exploded. Her worldwide fame reached its peak when, after a long and exhausting tour in which she’d made 50 speeches, Milholland fainted at a podium during a rousing speech. She died a few weeks later of anemia at age 30. Although a shockingly sad demise, the fight for equality continued without her. But, Milholland’s words were not forgotten. Before she fainted, her last public words were, “Mr. President, how long must women wait for liberty?” She spoke for the thousands who didn’t have a voice and, even after her death, her words continued—sewn onto the banners of picketers who protested outside The White House for 17 months. in the early 20th century who believed in a women’s right to choose and vote. She even asked a man to marry her, disregarding a tradition that still exists today. “She was a wonderful role model,” Wheelock said warmly. “She lost her American citizenship because she proposed to a Dutchman, she wouldn’t have had the right to vote anyway.” And yet, Milholland still gave her life on behalf of her gender. One hundred years after her death, Wheelock’s documentary is more relevant today than ever. It reminds us how important it is to vote, and to remember how many people have struggled and made terrible sacrifices throughout history so that every American would have the right to have a voice. 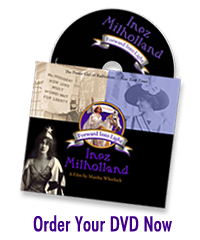 Thom Hallock interviews documentary film maker Martha Wheelock about her film “Inez Milholland: Forward Into Light” about suffrage movement icon Inez Milholland. Mountain Lake PBS is the public media station serving the Adirondacks, the Champlain Valley and Quebec.